Why should you create a media kit for your blog when you can just include your URL in any emails or communications? Surely PR’s and business owners can just visit your website or social media sites and gauge an idea of how well you’re doing and if their brands will fit? If this is how you're thinking what I will ask is why don’t you want to create a media pack? Is it due to a lack of knowledge on how to create one? Do you just not have time to design and make one or do you simply not think it’s important enough to be sending to prospective PR’s and brands? Tough questions for sure but those are the types of questions that can be flipped on their head and viewed from a brand or PR’s perspective also. Why should you create a media kit? Would you expect to get paid employment without sending an application or a CV? No, why? It's pretty much the same thing in the blogging world except the media kit is your CV. Imagine how many emails each brand or PR company received in a day. If they are being sent hundreds (if not more) emails with blogger requests then it takes far too much time for them to click links, read emails and assess your social sites – no-one has time for that! If you have space, you could choose to include a range of services, prices and how this service has benefited other companies or will benefit their company directly. By creating a media kit you're saving yourself a step in the sales process as prospective brands and PR's will reply and ask for one - or - they won't bother replying at all and you'll have lost yourself a paying gig. So when should you send someone a media kit? Be selective about who you send your kit too, if you have a genuine PR contact you asking about your rates or specifically for your media kit I'd suggest emailing it over as a good media kit can be the deciding factor in securing a job and your set collaborative rates. If you have a wishlist of brands you'd love to work with it would also do no harm creating a proposal detailing why you think they should work with you and include your kit. It’s always wise to forward a media kit when you yourself are putting out a proposal to brands and PR’s as it's far more professional that typing a few lines begging for work - it's also polite. Not all brands and PR’s enjoy receiving media kits so you could always include a polite ‘here’s my media kit Dropbox link if you're ever interested’ that way they don't feel as though they’re having your attachment rammed down their throats. What I will say is you should be wary about who you send it too, there’s a lot of cattiness within the blogging industry and you will get requests from other bloggers who are pretending to be PR’s so they can splash your prices and stats across the blogging hate groups (it’s never happened to me, but I do know other others who were burned by it). When you're receiving a request do some Google research to check the validity of the person and the email contact after all this is your personal information and no-one wants that to get into the wrong hands. ✓Introduction - Include your name and a few small details about yourself. ✓Contact details - include phone and email as well as social media links and usernames. ✓Statistics - These are partly your selling point so you must include these. Adding your blog and social media stats is best. ✓Services - What can you offer these companies? Include a list of possible services you can offer and an average price. ✓Previous work - Which brands have you worked with, include published links if you want to wow any future brands or a link to an online portfolio or page that lists your testimonials. ✓Selling points - What makes you different, what’s your blogs genre or what are your secret passionate about? ✓Terms - do you offer a set term for sidebar ads? do you only include no-follow links or do you not allow graphic banners? If there are set no-no's you should include them. Finally, you've created a media kit, now what? Most brands and PR’s will judge your media kit based on first impressions so make those few seconds count by having a clear design that flows well. Spell check your final draft and when you're happy export it to PDF format. Attach it to the emails your sending and include a short but sweet email detailing which services you feel would be advantageous to the brand. 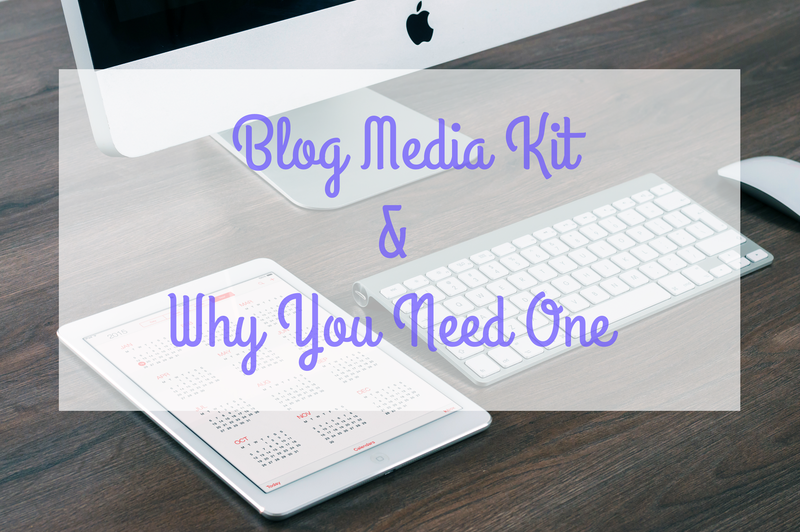 Thanks for posting these resources about media kits for blogging. My blog is pretty new (seven months old) and it is nice to hear about these things from someone with more expertise. Cheers! This post was so helpful especially putting into perspective why to have one in the first place. A media kit is so essential! I had a friend design mine and I am pretty obsessed. I couldn't agree more! Media kits are crucial for monetization! I made mine last month and not even a week later, someone asked for it! I was so glad I had it.